There are new Heritage Trails around Deal this year. 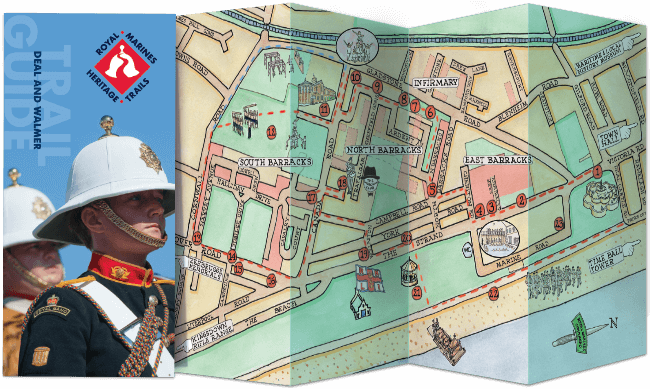 The recently launched Royal Marines Heritage Trail takes you through the history of the Marines in Deal and Walmer, from the old barracks, past the memorial bandstand and leads you to Deal Maritime and Local History Museum where there is a new permanent exhibition about the marines in the town. There are also trails leading you through sites in the town linked with World War I. All trail leaflets are available at Number One.